​A Strong Force Within The Netball World And Indeed Formed Most Of The Local Leagues That run today. By Being Proactive Maureen with the held of her committee, progressed The High5 Turnford Junior League (For Both Boys And Girls Between The Ages Of 8 To 11) From Just Five Teams To This Year Making 81 Teams – Giving More Young People The Chance To Play Sport. 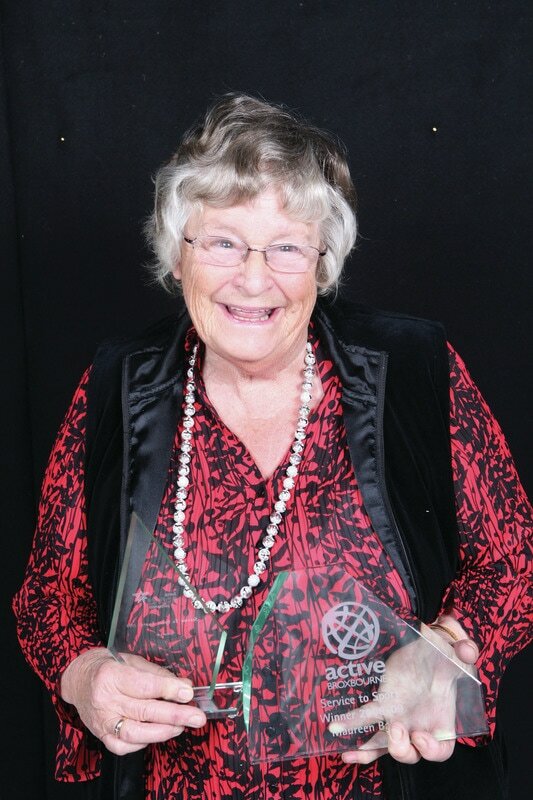 Turnford have an extremely strong committee that has been headed by Maureen over a number of years. She has instilled in us a great sense of dedication and pride. I truly believe that it why Turnford are such a strong and committed club . It is without doubt Maureens legacy will live on. The U16 and U14 Turnford squads travelled to Ipswich this weekend to once again claim the title of East Regional champions. ​Both squads had to finish top two in the groups to qualify for the semi finals and a chance at National Finals. The U16’s had six other teams in their group. First up was Ipswich ladies. With outstanding defence of Busola Femi-Gueje, Zara Everitt and Ella Warmerdan the opposition failed to put a score on the board in the first half. A confident start and all eleven players taking to court Turnford got their first #WIN in the bag 16-2. Much of the same to follow for this powerful squad and with outstanding shooting from Andriana Robinson, Lucy Milberry and Emily Sabatino they got the results to show for it. 18-4 against Star, 11-7 against Conquerors,23-2 against Leighton Buzzard, 19-1 against Saffron Hawks. Coach Kat Titmuss said: “I am so proud of each and every one of these girls. They have shown complete commitment to their squad and our shared goal of taking home the gold from nationals. We will continue to work hard to make this goal a reality. Pic Shows U16 & U14 winners. 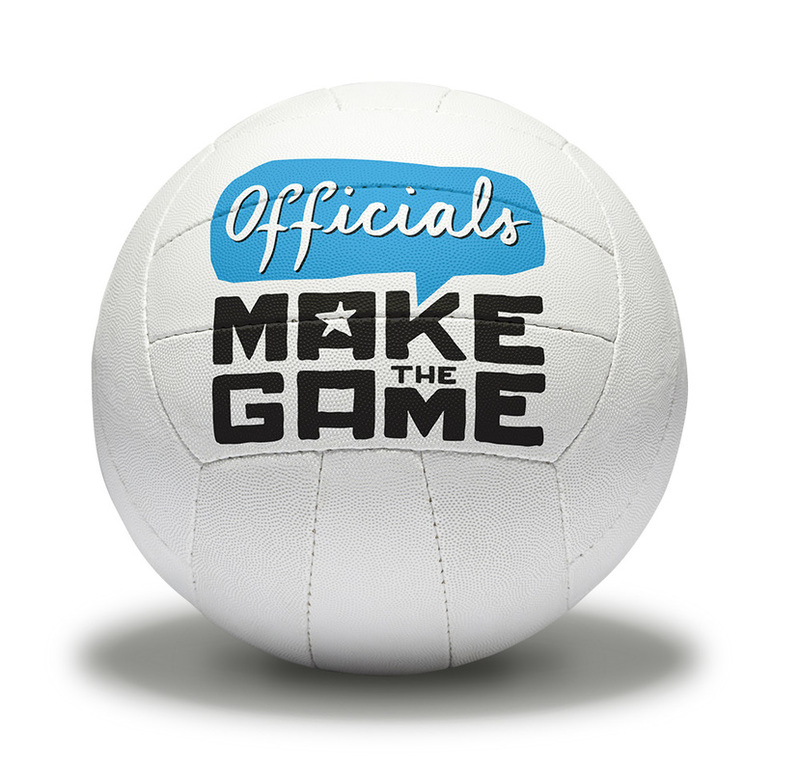 As you may or may not already know the rules of Netball have been completely overhauled and the new version of the rules along with new rule book will come into effect as of 1st September 2016 to all levels of the game. 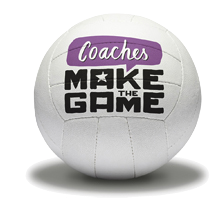 With the new rules in mind and in an effort for us all to be ready for the new rules being used next season, please see attached copied of 6 short videos that have been produced by Netball Australia explaining the changes in detail. These changes relate to all umpires, but it also relates to all players and team officials as well. 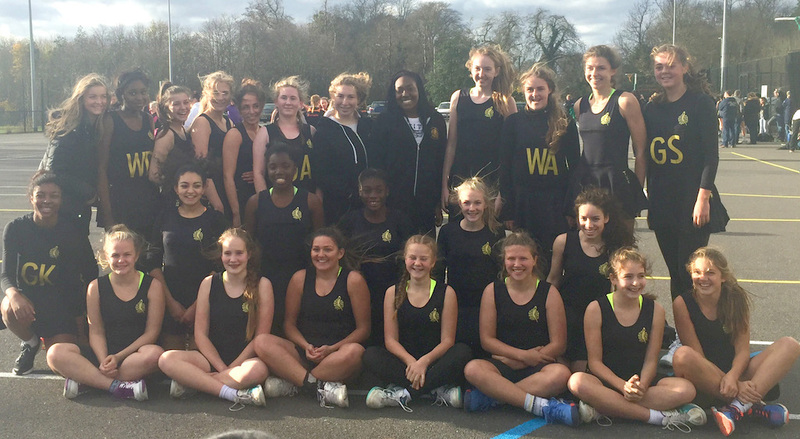 The Hertfordshire round of the U16/U14 national club championships took place Sunday at Wodson Leisure centre in Ware with many Hertfordshire teams taking place. ​Turnford are delighted to announce that both their squads took top place and will go forward to represent Hertfordshire at the regional round next March. Pic shows winning squads. Turnford U16 were excited to compete in the first stage of the #RoadtoNationals this weekend. The squad of 12 played in the County round held at Wodson Park. They had 6 games standing between them and the County title. With many of the players being from the U15 squad we knew we had a challenge ahead of us. They had a great start to the day with a 13-1 win over Abbey Flyers soon followed with 10-5 win vs Hornets. At this stage of the day the winds had really started to pick up and it took some perfect timing from shooters Andriana Robinson, Emily Sabatino and Lucy Milberry to take the win against Crosskeys 4-3. Next up was Asco who found it hard to combat the strong Turnford attack and with constant turnovers from Zara Everitt and Ella Warmerdam Turnford gained another win under their belt. Turnford were able to secure confident wins over their last two opponents winning 12-4 against Hatfield and 13-0 against Kardale. Coach Kathryn Titmuss said "I was delighted with every player of this squad who all took to court and played to the game plan. I was delighted that both the U16's and U14's finished the day undefeated and look forward to seeing these super squads in the next stage". Turnford U14s were excited to be present at this round of the national club pathway. It had been a while since they had played their own age group having tested their skills, in recent months, at a much higher level of good quality senior games. The score lines showed just how much this young squad had improved. Despite the gusty winds the shooters faired well against the elements. Their first match against Hatfield Turnford took 14:4, Next up was Asco and again a vast goal difference of another win for Turnford 17:3. The defence of Jasmine Harvey-Stone, Maddie March, Freya Keohane, and Frankie Baylis made turnaround after turnaround allowing the solid centre court of Megan Thomas, Courtney Ferns and Bella Baylis to feed their shooting circle with skill and maturity. Next up came Hornets and Turnford took the win 18:1 followed by wins against Abbey Flyers 14:2, and Crosskeys 13:4 . Shooters Evie Pringle and Sienna Rushton slotted them in, with ease, one after the other gaining a total of 76 goals during the tournament and the defense only allowing 14 against them. Coach Carole Titmuss said praise must be given to the whole squad for their focus throughout the day. She stated how proud she was of every single one of them and looks forward to the next round where they will represent Hertfordshire at regional level to be held in Norfolk in March 2016. 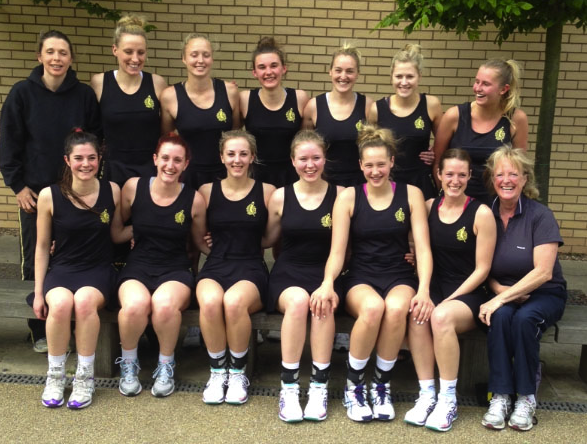 Turnford travelled to Leeds for their last match of the season in the first division of the Netball premier league. Turnford had fought their way into this league and they have certainly fought their way into staying there. They are now officially premier 1 residents for the season 2015/2016. The squad of 11 players plus coach Danielle Titmuss travelled up to leeds the night before so they could be fresh and focused for the early start. The game began - from the first step on court it could be seen Turnford were determined to make sure there would be no play - off up north hotel bookings for them. All eleven players took to the court and all 11 players played their hearts out. Accurate shooting from Georgina Fisher and Ann-Marie Dwyer coupled with great feed from the centre court of Clare Drakeford, Holly Sims and Sophie Carter ensured the opportunities given were converted. But special mention of the incredible defence play of (Player of the match ) Bea Skingsley , Megan Clarke, Sam May, Kathryn Titmuss, Hayley Mackellar and Sarah Davis preventing many many conversions of the Leeds opponents. This can be put down as THE solid team effort of the season. Coach Danielle Titmuss stated how proud she was of the squad and is looking forward to enjoying premier 1 status, with them, next season. The squad consisted of Georgina Fisher, Holly Sims, Ann-Marie Dwyer,Clare Drakeford, Sophie Carter, Kathryn Titmuss(Cptn), Sarah Davis, Hayley Mackellar, Bea Skingsley, Megan Clarke and Sam May. New sports classes for girls aged 2-8 starting in March at the Samuel Ryder Academy on Saturday mornings. 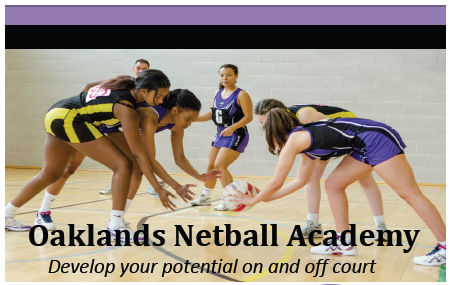 Register via the website today or contact us on 07904 172679 to arrange a free taster session. Netball Nippers focuses on team play and netball skills for girls: its different and its fun. See the website www.netball-nippers.co.uk. Let’s get our girls on the court! clubs history and indeed Hertfordshire's history. They are delighted to announce they did just that and will now join 9 other clubs nationally putting them in the enviable position amongst the top ten clubs in the country. Pic shows squad and coaches. Congratulations to Cheshunt who were successful in gain entry to the East Region League Division 3. We wish them every success in the 2014/15 season. Both will go forward to represent the East at he National Goalden Globe awards in September & we wish the both the best of luck.